On Thursday, September 27th, the SEC found a Marshall Islands-based company that was not following regulations set in place by the SEC and the US Treasury for U.S. investors. The company in question is 1Broker, also known as 1Pool. 1Broker is an online trading platform, in which investors can use Bitcoin for trading fiat forex pairs and CFDs in commodities, stocks, and indices. In the SEC’s statement, they filed charges against 1Broker for “violating the federal securities laws in connection with security-based swaps” and that 1Pool and Patrick Brunner, the CEO, “solicited investors from the US and around the world” to trade on its platform. Before taking a deeper dive into the problems with the platform, let’s take a step back: 1Broker is not located in the US. It’s based in the Republic of the Marshall Islands, a small set of islands in the Pacific Ocean. Not even remotely close to US territory. Yet the SEC tracked the company down and ripped it apart instantly. How? The SEC enforcers found a way to get hold of the company’s domain name and asked the FBI to seize it. Thus, investors trying to log in to their accounts could not and instead were confronted by the image above. Not so fast. Their post continues, “Before we can take the required steps to do that [allow customer withdrawals], we have to seek permission from the authorities.” At this point, 1Broker is under investigation by the SEC. It is unlikely money will be refunded to anyone until the SEC has found out what is really going on with the 1Broker platform. Maybe they will find accounts for known bad actors or money launders. Maybe there are accounts for drug dealers, or worse, for terrorists. If you read their FAQ, it is clear the company does not understand what happened. 1Pool writes that 1Broker (remember they are one and the same) “posed no threat to investors and since the launch in 2012, we were able to build a very good reputation among traders.” They point to their terms of service, which tells customers to check whether using 1Broker violated the rules of their county of residence, and if so, not to use it. The defense is flimsy. “Forbidding” someone from doing someone means nothing if there is no enforcement. In the SEC’s report, they allege that an FBI Special Agent was able to successfully complete trades on the platform. Clearly, no one is reading their terms of service, and no one at 1Broker is enforcing those terms. 1Broker violated a long list of laws, including not being registered as a Broker-Dealer, not verifying the identity of their customers (KYC), or preventing money laundering (Anti Money Laundering, or AML). The list goes on. A handy screenshot of Google Maps. 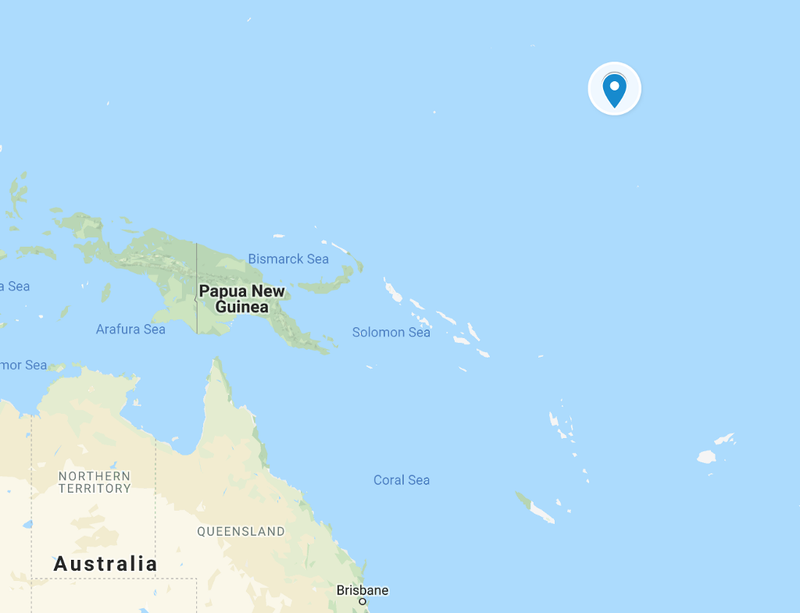 There are the Marshall Islands, Northeast of Australia in the Pacific Ocean. So how was an American government organization able to shut down a platform in the Marshall Islands where they have no apparent jurisdiction? In reality, every country has sovereignty, but some have more sovereignty than others. Going to the domain registrar with an injunction can very well take care of the matter. Now that the SEC has uncovered one of their most powerful weapons, setting up a company whether it’s in the Cayman Islands, Gilbraltar, the Marshall Islands, Bahamas or Malta means nothing if the company on-boards one U.S. investor. Just one. How can these companies do business if their website is suddenly shut down without warning, their accounts, and the funds within them, frozen? The SEC can and will go after companies that have US customers. What about other countries? Well, they are not rollovers either. They have their own set of investor protections in place which is why most of the aforementioned locations are small islands. The other countries will act, whether they are inspired by the SEC or not. It is a certainty. The SEC is just getting started, and they are not amused. They are going to prevent any systemic risk, and they are going to fix this cryptocurrency free-for-all marketplace. They are going to impose the rules. The SEC Takes Enforcement Worldwide was originally published in Hacker Noon on Medium, where people are continuing the conversation by highlighting and responding to this story.